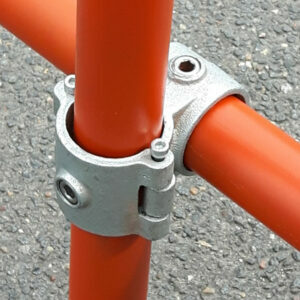 Tube Clamp Adjustable Tee 129 is a freely adjustable tube clamp adjustable tee between 30° and 60°. 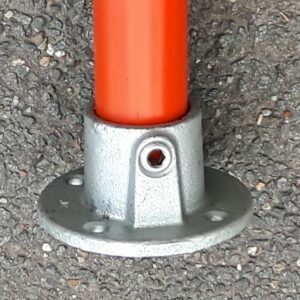 Typical use is a tee connection on angled top rails on steeper slopes or stairs with the upright remaining vertical. 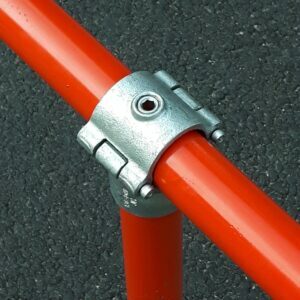 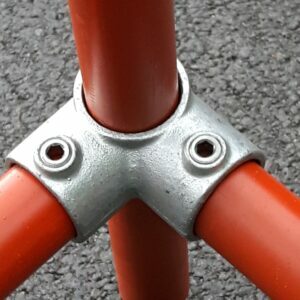 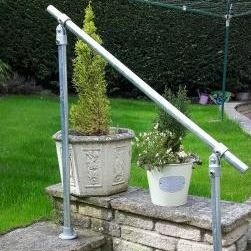 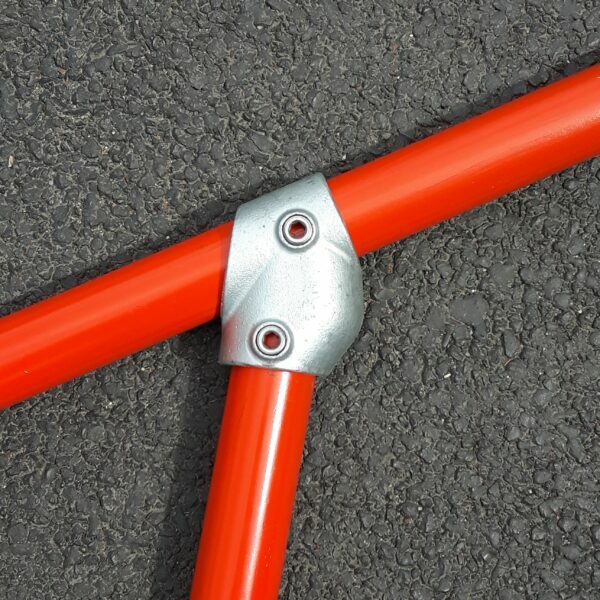 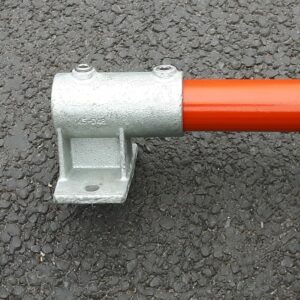 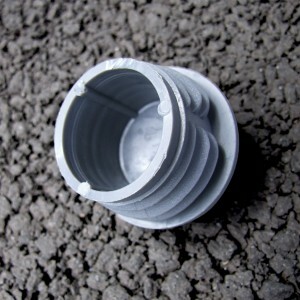 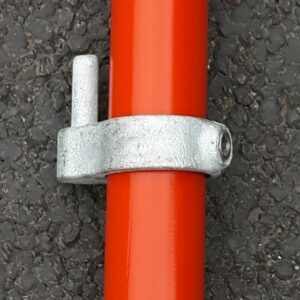 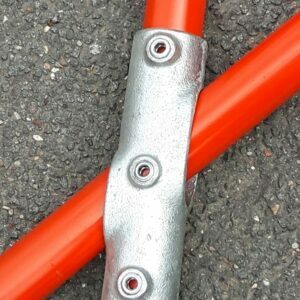 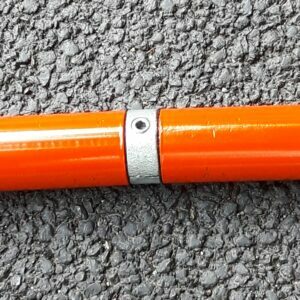 This Tube Clamp Adjustable Tee fitting can also be used for bracing on structures. 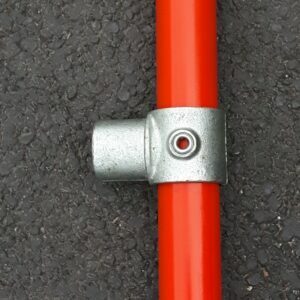 This fitting has no ability to join tubes. 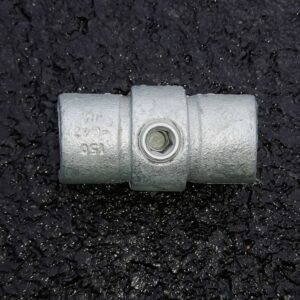 An alternative for this siuation is a Tube Clamp fittings 127.